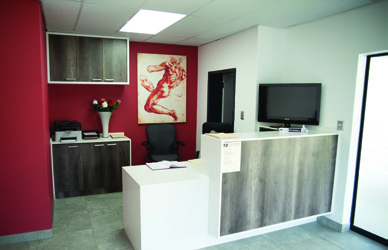 At du Plessis Orthotics and Prosthetics their attentive staff will listen and attend to your needs, and put together a bespoke support package to meet your individual requirements. They can help and supply you with a wide range of medical equipment and personalised service. • Hospital beds and mattresses. • Visit their store at www.dportho.co.za – free delivery nationwide. Christiaan du Plessis and his team render a service to all Private Hospitals in Klerksdorp, e.g. 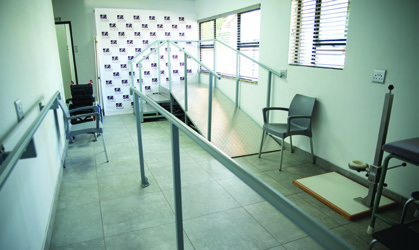 Wilmed Park Private Hospital, Life Anncron, Sunningdale Hospital and Parkmed Neuro Clinic. They also negotiate special rates for patients without medical benefits. 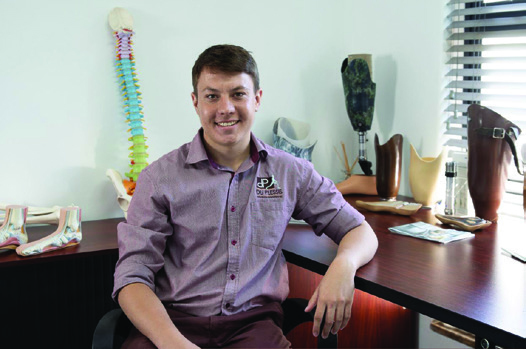 Die omvattende diens wat deur du Plessis Orthotics & Prosthetics gelewer word is alleenlik moontlik deur die waardevolle insae van al die lede van hul Multi Professionele span. • Verskeidenheid van pruike wat pasiënte hul menswaardigheid laat herwin. 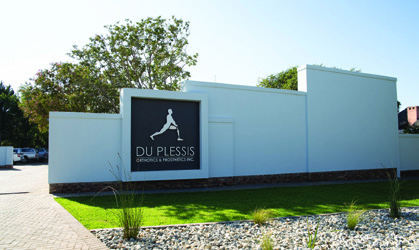 So, who are we at du Plessis Orthotics & Prosthetics? – Custom made wheelchairs and seating solutions. “We are a humble team, thus in humbleness we learn and grow, we are flexible, we only compete against ourselves and as experts will always acknowledge that we have room to learn and improve. We will share our successes and will NEVER forget our roots. Kom besoek ons nuwe praktyk en vergewis vir jouself dat DIT die span is met wie jy jouself kan vereenselwig. 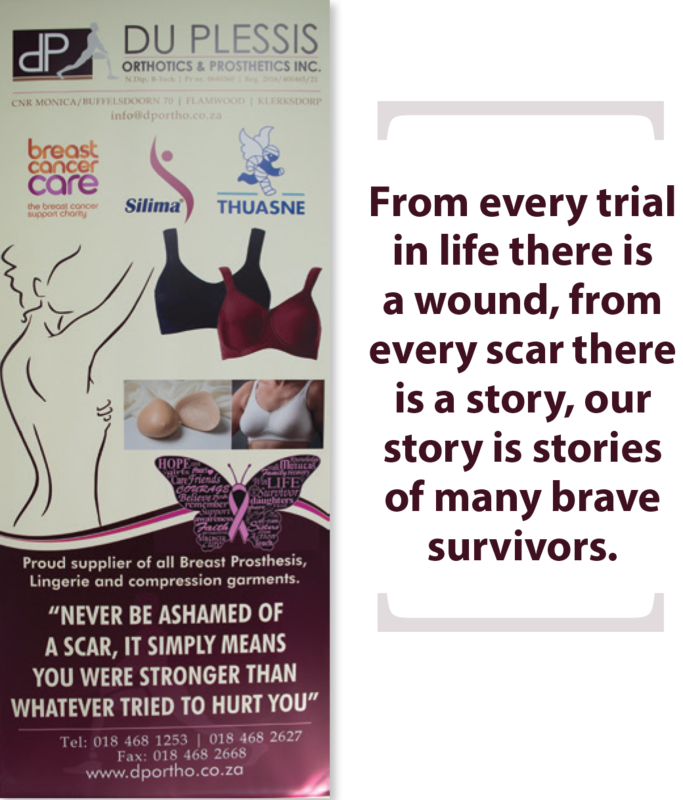 Visit us at our new premises at AMETIS STREET 57, WILKOPPIES, KLERKSDORP, TEL 018 468 1253 OR ARCH BISHOP DESMOND TUTU STREET 57, KLERKSDORP, TEL 073 262 1911 OR 120 STEVE BIKO STREET, POTCHEFSTROOM, TEL 078 681 6106.